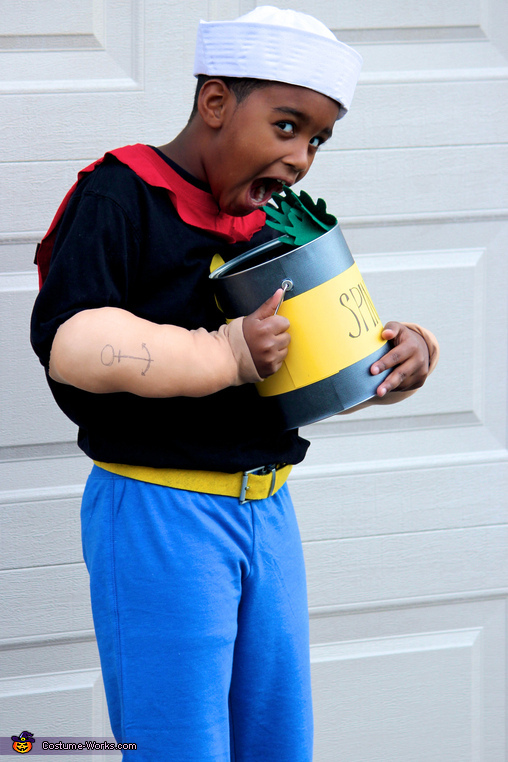 Costume is worn by my 5 year old son (who we had to show Popeye cartoons to on the internet). We always look for a family costume each year and he liked the idea of stealing me away from Daddy. To make the costume I used old t-shirts for all the accent colors and attached the pieces to his shirt and belt. The spinach can is made from a new paint can (can be found in craft or hardware stores).